DemoCurmudgeon: Liberal Progressive hell-hole Madison, filled with smarty pants educated citizen elite, ranks 3rd as most educated large city. Liberal Progressive hell-hole Madison, filled with smarty pants educated citizen elite, ranks 3rd as most educated large city. We're number 3 and it's not because of the Republican trash hanging out at the Capitol. 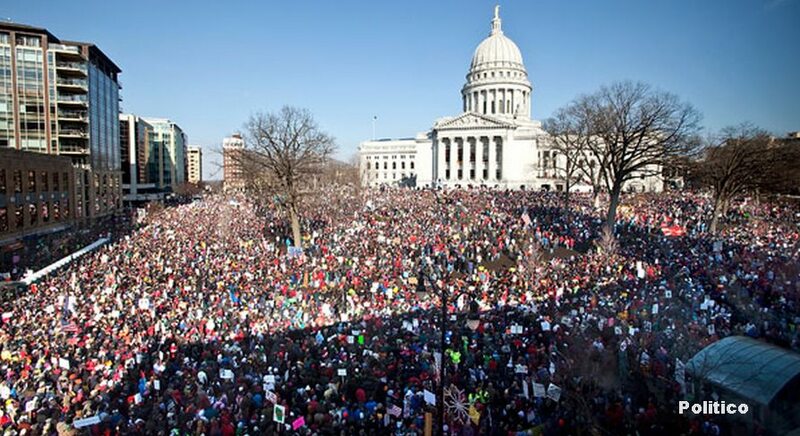 Despite the freeloading GOP presence, Madison is hanging tough, trying not to dumb down too much. jsonline: Madison ranks No. 3 on list of most educated large cities in America … on NerdWallet's latest list of the most educated large cities in America. In Madison, 94.9% of residents have at least a high school diploma or associate degree, while 53.7% have a bachelor's degree, 15.5% gave a master's degree, 5% have a doctorate and 3.9% have a professional degree, according to NerdWallet's analysis of U.S. Censu Burea data on educational levels. Milwaukee came in at 91. Minneapolis ranked No.13 on the list. All the other most educated big cities on the NerdWallet list were outside the Midwest. Nationwide, about 86% of Americans 25 or older have at least graduated from high school, and 29% hold at least a bachelor's degree. I wonder how much student loan debt Madison has. Walker Came in like a wrecking ball! Is Scott Walker a ruthless con man...?